This new hybrid boasts an extended flowering period and neat, compact habit. 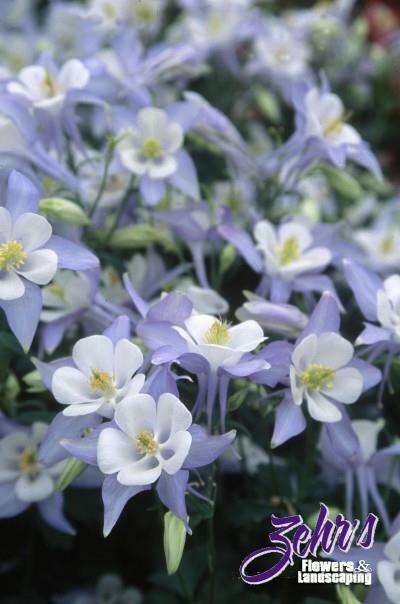 The blue and white blossoms face upward, showing off their pretty faces and long spurs. Aquilegia is especially lovely when allowed to naturalize in shady, woodland borders. Long lasting cut flower.